The Delaware Valley Regional Planning Commission is set to announce $1.8 million in grants to 23 "regional revitalization" projects across Greater Philadelphia. 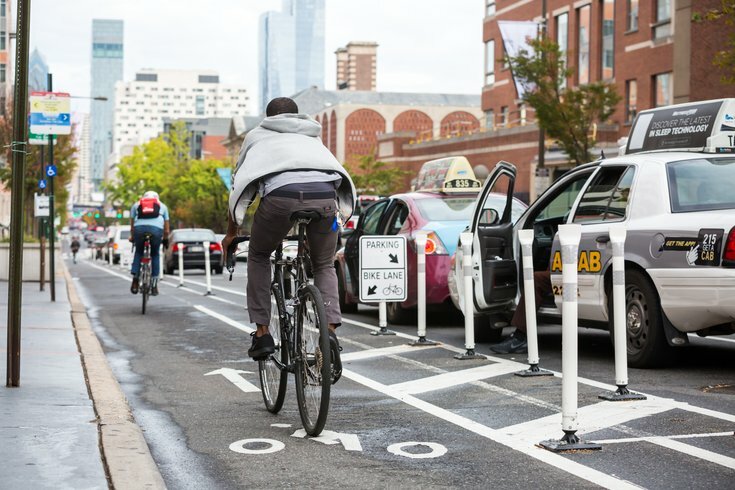 Philadelphia Mayor Jim Kenney's pledge to build 30 miles of protected bike lanes could soon cover the trek from Northern Liberties into Old City. The city's Office of Transportation, Infrastructure and Sustainability announced Monday that it will be holding a meeting to consider adding protected bike lanes along Second, Fifth and Sixth streets from Spring Garden Street to Market Street. Protected bike lanes make streets safer for people walking, biking, & driving while encouraging active transportation. Philadelphia's progress toward the 30-mile goal has been somewhat halting, even as the city doubles down on Vision Zero commitments in the wake of tragedies involving cyclists in recent years. In addition to mile-long stretches on Ryan Avenue in the Northeast and Chestnut Street in University City, the city has committed to projects adding delineator posts along South Street (from 21st to 27th Streets), protected lanes along 13th Street in North, South and Center City Philadelphia, and a pilot project along JFK Boulevard and Market Street between 15th and 20th Streets. Philly has about 200 miles of unprotected bike lanes, but to date only a few miles of bike lanes are protected. In 2016, when the Delaware Valley Regional Planning Commission committed $7.6 million in Transportation Alternatives Program funds to 11 projects, a $300,000 grant was set aside for protected bike lanes. Ten future projects were revealed at the time, but they were only part of the city's proposal to receive the grant, not fully approved plans. While widely praised by cyclists and proponents of Vision Zero, early complaints about the protected bike lanes along Chestnut Street prompted City Council to reconsider the approval process for modifications to existing bike lanes. That bill, which would require City Council hearings and authorization for bike lane projects, remains in committee a year after it was introduced. An open house for the latest proposed OTIS project spanning Old City and Northern Liberties will be held Jan. 29 at the Yards Brewery building from 6 p.m-7:30 p.m.